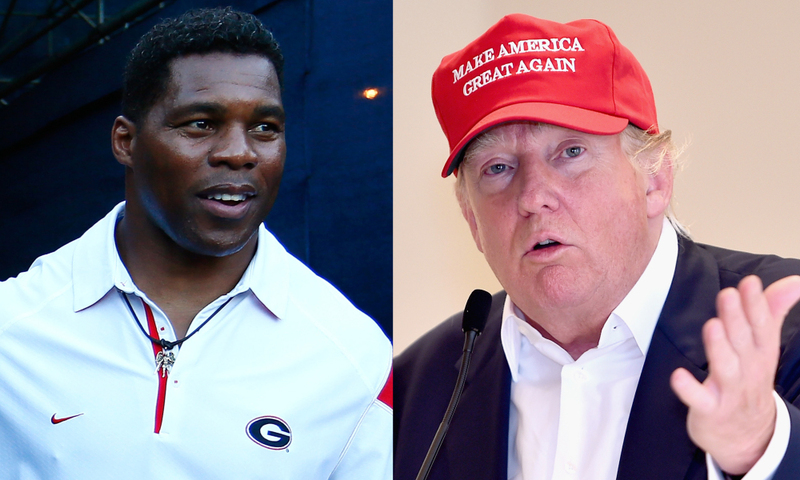 Former NFL great Herschel Walker told TMZ he was losing speaking gigs because of his support for Donald Trump. Walker says he won’t stop supporting Donald Trump despite the backlash from #NeverTrumpers. NFL Great Herschel Walker was one of the early Trump supporters out of the gate but now he says he is losing speaking gigs by anti-Trumpers who are blackballing him. Walker, a running back for such teams as the Minnesota Vikings and the Dallas Cowboys, recently told gossip site TMZ he has had multiple speaking engagements canceled because hosts say they are worried he’ll attract anti-Trump protestors. The retired football player was one of the celebrity contestants on season eight of Trump’s reality TV show The Apprentice which aired in 2009 and has been a big fan of the real estate mogul ever since. Walker wouldn’t tell the gossip site what events nixed his speaking slots, but he said that event sponsors in California specifically noted he was axed because of his support for Trump. Walker also said he won’t stop supporting Trump because the presumptive GOP nominee is the best man for the White House.